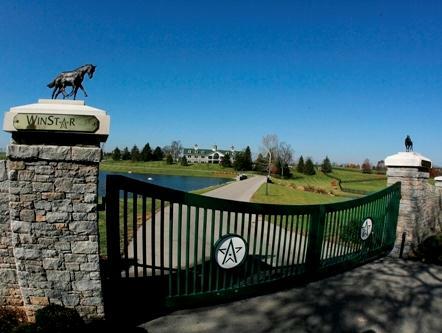 Chris Baker has accepted the position of General Manager at WinStar Farm, it was announced on Tuesday, Oct. 11. Baker had been the General Manager at Spring Hill Farm in Casanova, Va. for late owner Edward P. Evans. He comes to WinStar with 25 years of experience in the Thoroughbred industry, including the last 11 years spent at Spring Hill. Baker graduated from the University of Maryland in 1986 with a Bachelor of Science in Agriculture and initially got into training in several different racing jurisdictions around the world, such as Australia, England and New Zealand. In the States, he worked for Lanes End's training division and also lived in California as an assistant trainer to Hall of Famers Richard Mandella and Neil Drysdale, working with such champions on the racetrack as Kotashaan, Phone Chatter and A.P. Indy. After becoming a public trainer himself in the late 90s, Baker followed his passion into farm management. He worked as farm manager at Vinery around the turn of the century before being hired by Mr. Evans in late 2000. In the last decade, Spring Hill and Mr. Evans ascended to industry leaders in breeding and owning, shaping many top thoroughbred families and accomplishing many success stories on and off the racetrack. The program has accounted for producing well over 100 stakes winners, including such top horses as champion Saint Liam and record-setting Grade 1 winner Quality Road. Spring Hill and Mr. Evans were honored as the TOBA National Breeders of the Year in both 2009 & 2010, and were also recognized as the TOBA Virginia Breeder of the Year nine times.